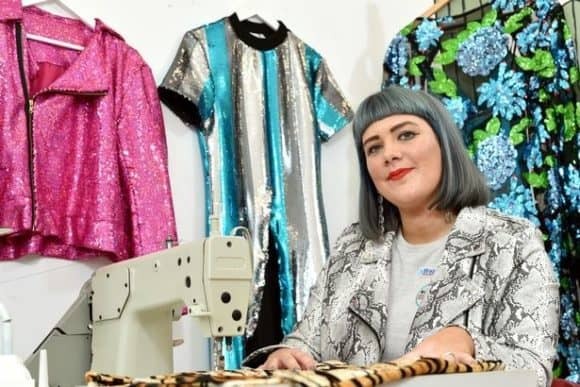 A Dundee community project, which is vying for up to £50,000 National Lottery funding, has attracted support from a local fashion designer, whose client base includes Miley Cyrus and Pixie Lott. 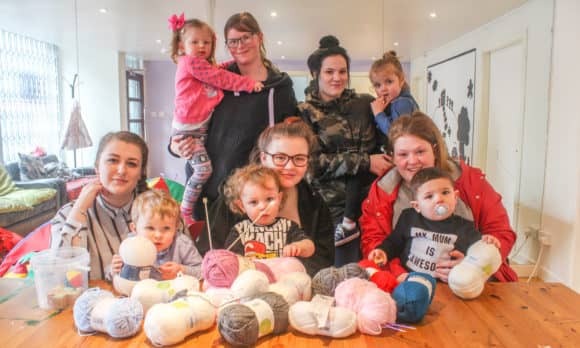 Mother-of-one Samantha Paton (28) of Isolated Heroes, who works out of the city’s Meadow Mill, is backing Kindred Clothing, a project created by and for young parents participating in the wider ‘Bringing Up Baby’ group based at the city’s Hilltown. Kindred Clothing will build the skills, confidence and networks of vulnerable, young families by supporting parents under the age of 20 to design and make clothes, learn new skills and make friends while their children play. Ultimately, it is hoped that those attending will leave with an official accreditation. Voting is now open in the final regional stages of The People’s Projects, a National Lottery competition, allowing members of the public to vote for worthy projects within their local communities. The three finalists receiving the highest number of votes will go on to secure up to £50,000 funding. The voting period runs from Monday 16 until Monday 30 April 2018, with the winners announced on Thursday 3 May, during the 6pm STV News programme. Backing the campaign is Samantha Paton whose fashion line, Isolated Heroes, was launched in 2012 shortly after her graduation from Heriot Watt University with a BAHons in Fashion Design For Industry. The range provides luxury items for younger audiences at an affordable price, moving away from what Samantha describes as ‘mediocre, trend-led seasonal collections’ and, instead, focusing the brand on international markets offering a constant supply of mini collections throughout the year. Isolated Heroes also provides customers with an interactive digital design experience, showcasing live blogs and documented behind-the-scenes footage via social media channels engaging a staggering 47.5K Instagram followers. Renowned for their use of luxury faux fur and sequins, specialising in hand embellished items with oversized silhouettes and vivid colour palettes, the brand has developed a cult-like following, with clients including Miley Cyrus, Paloma Faith and Pixie Lott. Relying exclusively on UK manufacturers, Isolated Heroes clothing now has 12 stockists and can be found in stores throughout Australia, USA and Japan. Kindred Clothing will feature weekly drop-in sessions at Front Lounge’s Hilltown premises, as well as showcase events and visits to creative venues including Dundee Contemporary Arts’ print studio. The weekly sessions will be led by young parent volunteers, supported by a Community Learning and Development (CLD) Worker, with a Making Practitioner facilitating the creative sessions. If funded, the programme will include tailoring, knitting and quilting, with the added opportunity for parents to design their own fabric through screen-printing. The grant would help pay for materials and machinery, toys and a Play Worker, allowing parents to concentrate on their crafting knowing that their children are being looked after just a few feet away. Longer term, it is hoped that the skills gained will ultimately lead to external accreditation and new employment opportunities.